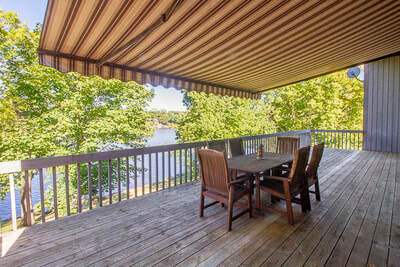 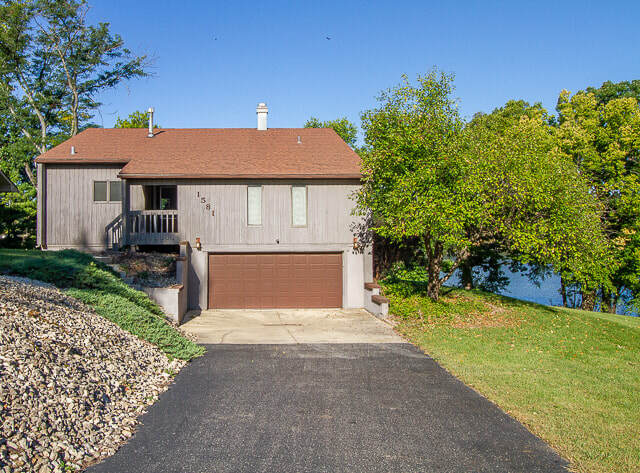 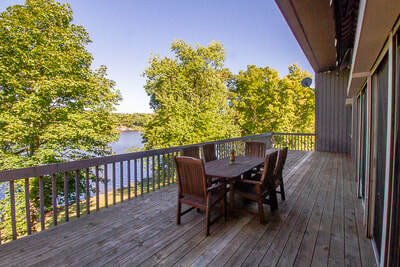 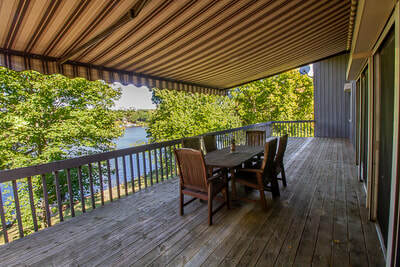 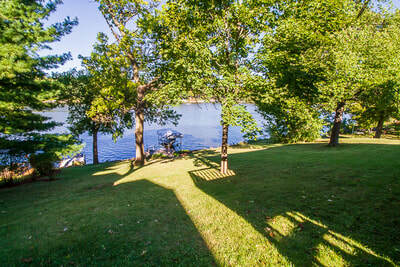 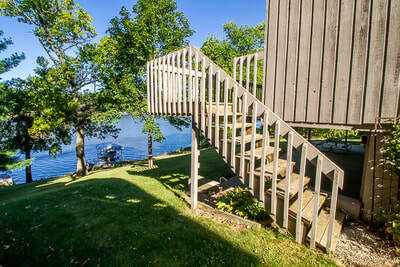 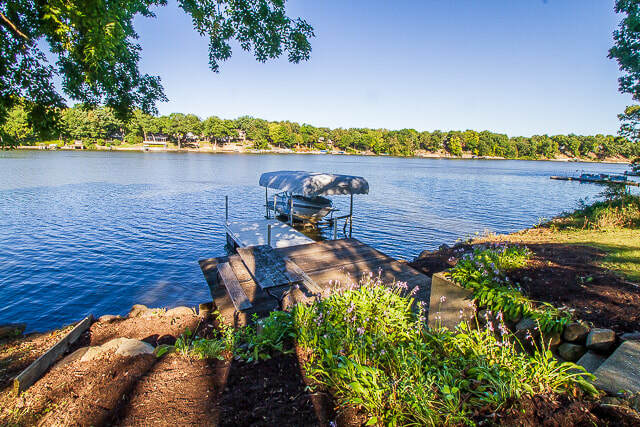 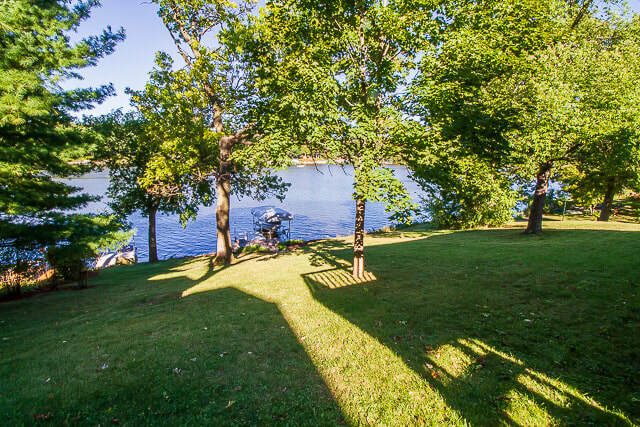 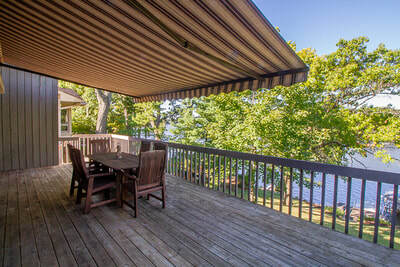 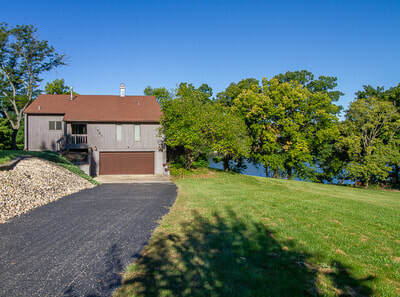 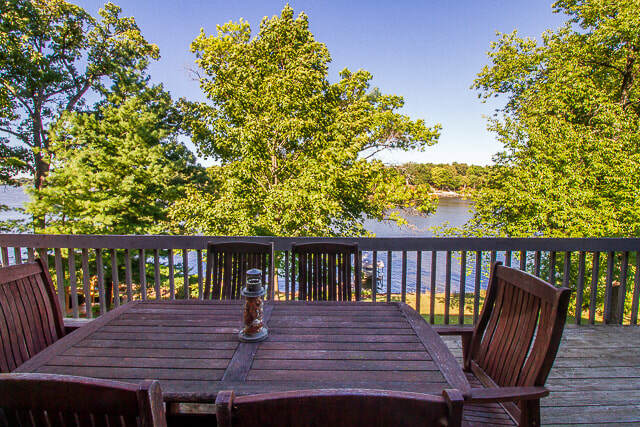 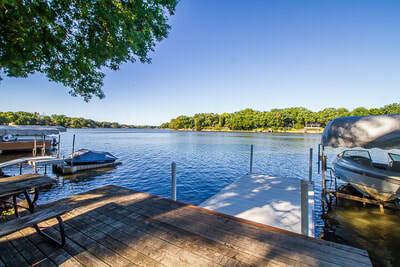 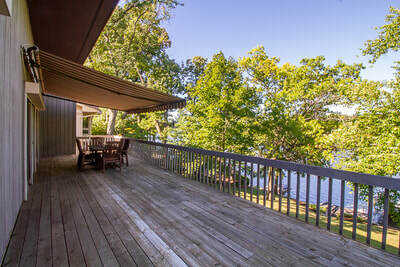 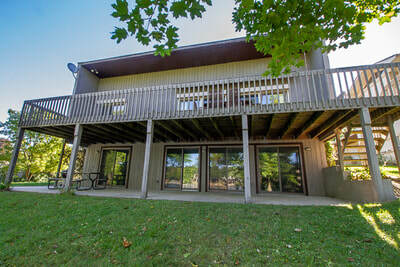 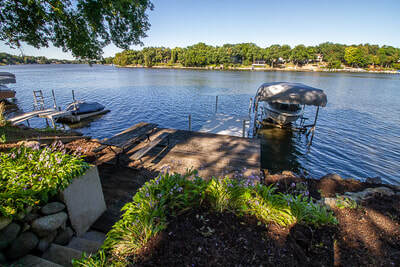 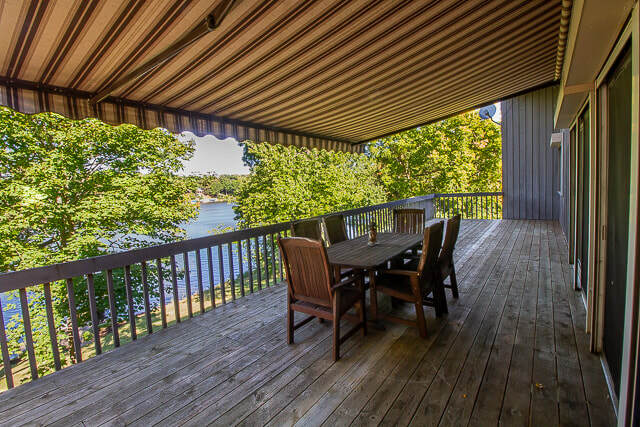 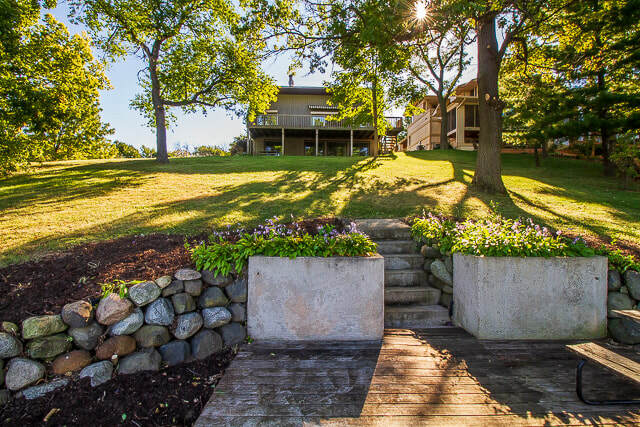 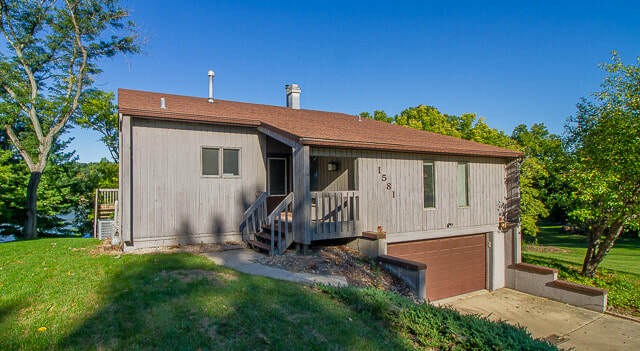 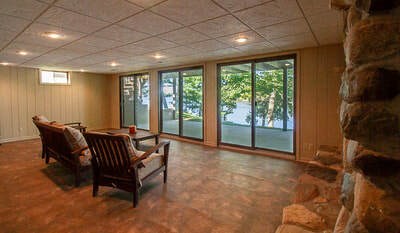 1581 Lake Holiday Drive is a must see at a great value with a walk-able lot! 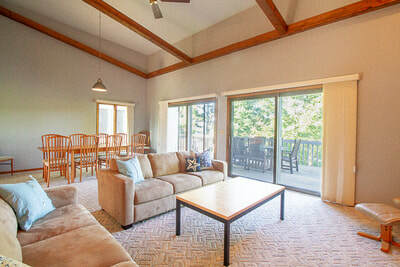 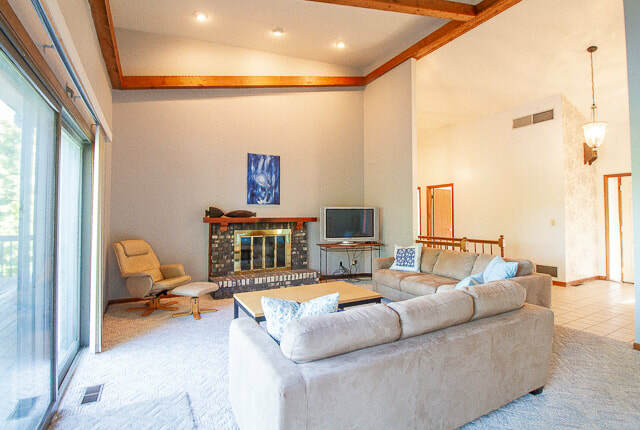 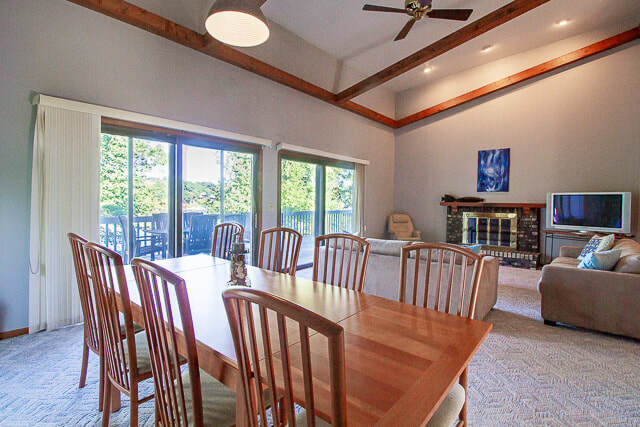 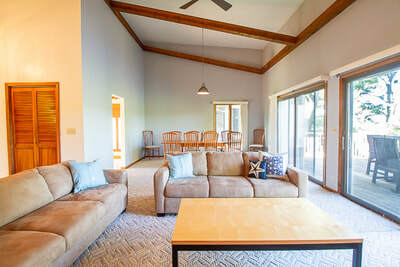 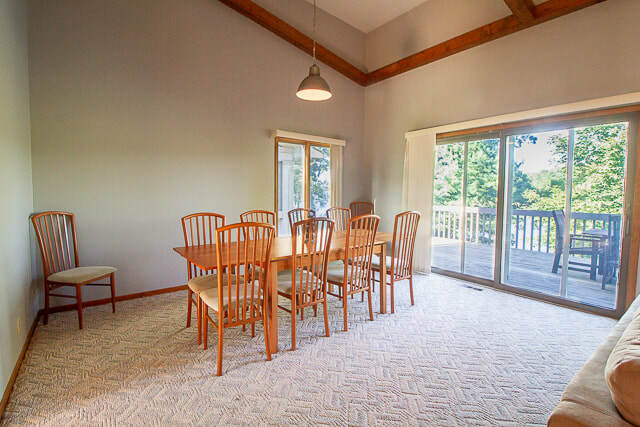 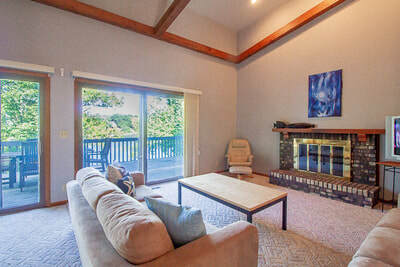 Walk into an open floor plan with soaring vaulted ceilings show casing architectural beams and 1 of 2 fireplaces. 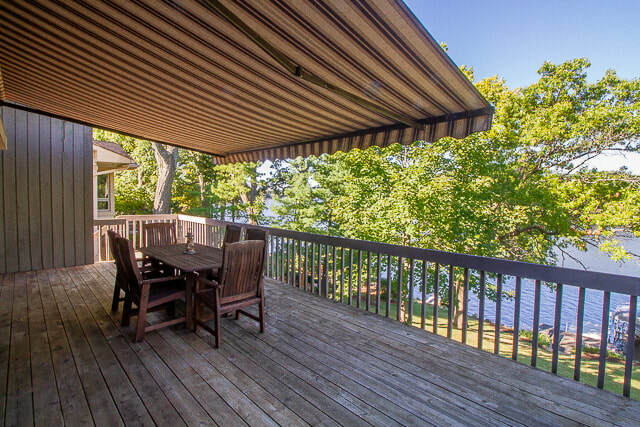 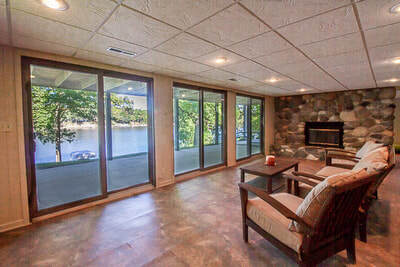 Soak up beautiful waterfront sunsets from 3 different outdoor entertaining areas including an expansive main floor deck, walk-out level patio, and lake side deck. 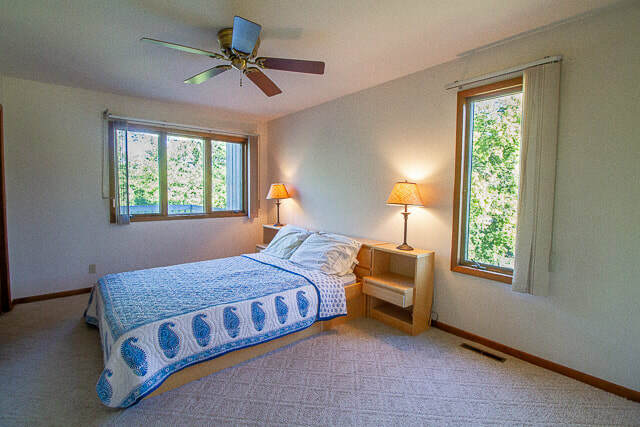 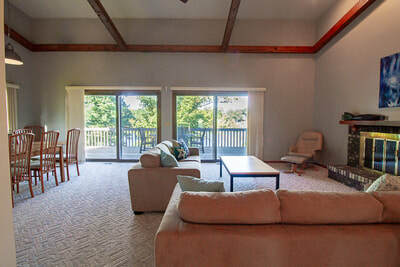 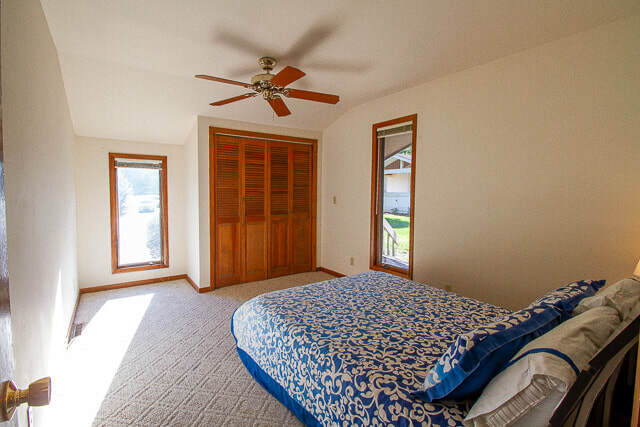 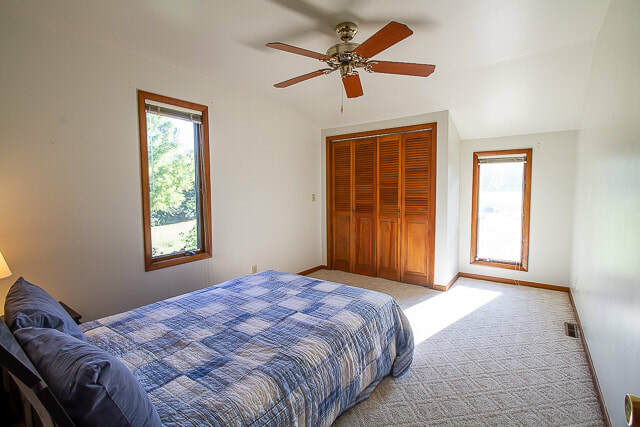 The main floor features 3 generous bedrooms, including the master with water views! 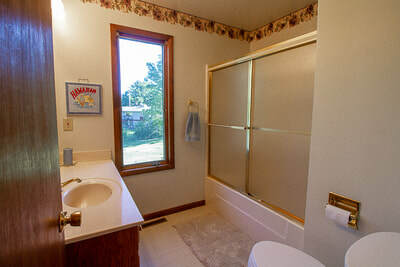 Main floor full bath. 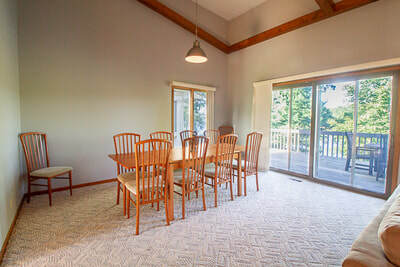 The walk-out level offers additional space for entertaining and the 2nd fireplace, options for more sleeping quarters and/or an office, etc. The laundry room doubles as the 2nd bathroom which is ideal for rinsing off after a day out enjoying the lake! Adjacent to a green area, you can enjoy all the added green space that is rarely used by others for your family to enjoy! Brand new maintenance free floating pier system & boat lift included! 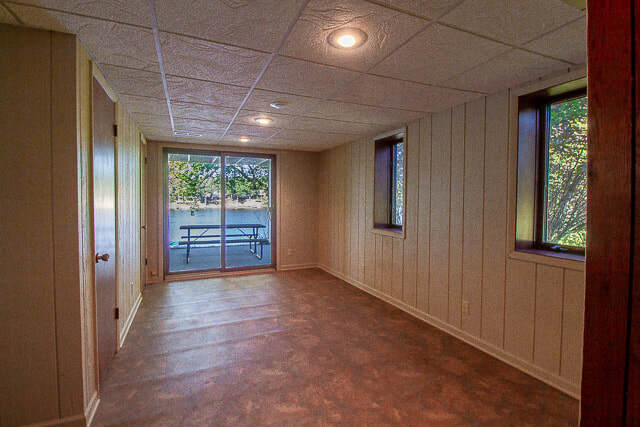 Boat is negotiable too.